How close were we with the IC-7X00? The announcement of the Icom IC-X3 at Tokyo HamFair 2006 got us thinking: Could a new mid-range amateur HF/6m transceiver be in the offing, based on the IC-X3 platform? We put together a speculative page on the new radio. One or two additional (selectable) 1st-IF roofing filters. Y, 15/6/3 kHz Hi-Spec 1st IF filters. We see a price point in the USD 5000 range. Time frame? 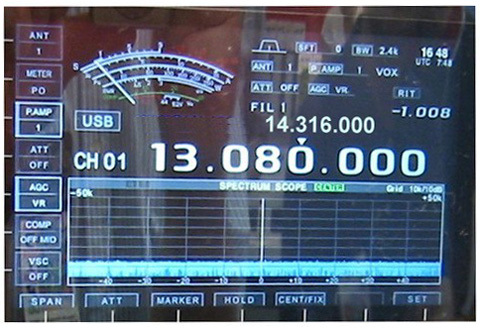 IC-7700 price range low to mid $6K; released early in 2008. Copyright © 2006-2017, A. Farson VA7OJ/AB4OJ and M.A. Erickson KK5DR.